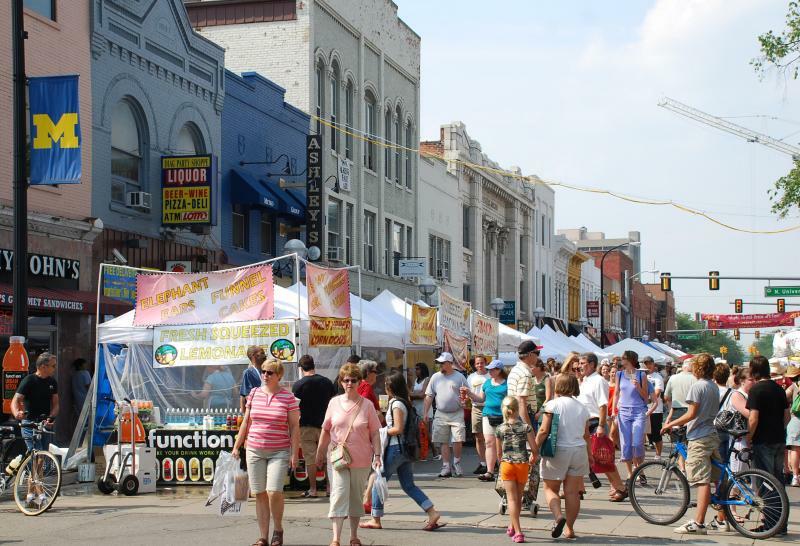 For 35 years Mark Braun, better known as Mr B has entertained visitors to the Ann Arbor Art Fair. Despite missing only two days over all that time he rarely has seen much of the fair beyond his piano. Mr B says he’s had genuinely great experiences meeting people at the art fair. “Thank you so much for doing this, we love it. Or my dad used to hear you and he’s gone now. Or I came when I was a little girl, you know when I was three and now I’ve got my little girl with me, and this type of thing. And it’s, it’s good man." Mr. B says throughout the year he’ll run into people around town that only know him from the art fair. Of course with 3 music stages and dozens of other musicians performing across the 4 art fairs Mr B’s piano is just one of many sounds you will hear.